Divine Weight Release is a unique and comprehensive weight loss program that is unlike anything on the market today. Wholistic and comprehensive, this program takes your body chemistry into consideration including your physical and emotional wellness. This Brand-New Weight Release Program is wholistic and realistic. This is not a diet. It’s a body, mind, spirit, wellness and re-balancing program. This is not a group program. Divine Weight Release is a private and individual journey. Your appointments are one on one and can begin as soon as you are ready. After your first session, you’ll begin journaling with the Divine Weight Release Journal. This journal should be brought with you to each appointment so that we can track and monitor your progress AND discover what elements or habits that may be a challenge for you. We’ll also schedule you for Four sixty-minute private follow up appointments over the next twelve weeks. This will allow us to closely monitor your progress and keep you on-track for success. You'll also receive a Customized Flower Essence blend. Based on your EVOX results, you’ll receive a Customized Flower Essence Formula designed specifically for your unique body chemistry and emotional needs. Bach flower remedies have been used since the 1920’s and are an effective natural tool to help you tackle the emotional and mental challenges of releasing extra weight. Toxins can play a significant role in preventing us from losing weight as well as gaining weight. The cardiovascular effect from a single sauna session burns as many as 600 calories. The sauna is also quite effective at dealing with cellulite, especially when combined with massage therapy and nutrition. AND a copy of this brand new Divine Weight Release Journal. You will be one of the first to own a copy! This entire weight release program begins when YOU are ready. The investments is $497. How different can your life be twelve weeks from now? You get to decide. 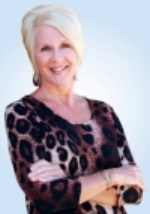 Tracie L. Yautz is the founder and owner of Divine Health Naturally Wholistic Wellness Center. She is a compassionate and intuitive traditional naturopath, certified health coach, medical intuitive, and emotional restoration facilitator. Her professional training and certifications include a degree in Naturopathy from Trinity College of Natural Health, Digestive Health Specialist through the Loomis Institute of Enzyme Nutrition, Nutritional Microscopy, and Certified Natural Health Professional. Tracie successfully completed Medical Intuition Education Training Academy in July 2018. She also has training in herbology, nutrition, reflexology, iridology, flower essences, aromatherapy and biological terrain therapy. Tracie has numerous years’ experience helping others ignite their vital spark – physically, spiritually and emotionally. 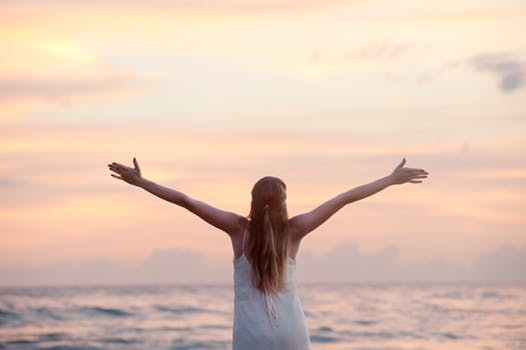 She is humbled by seeing those in her care regain wholeness from physical and emotional concerns including emotional trauma, digestive issues, skin ailments, and weight issues, as well as adrenal and thyroid imbalances. **Divine Weight Release Clients receive a 20% discount on additional EVOX sessions, foot baths and sauna treatments.